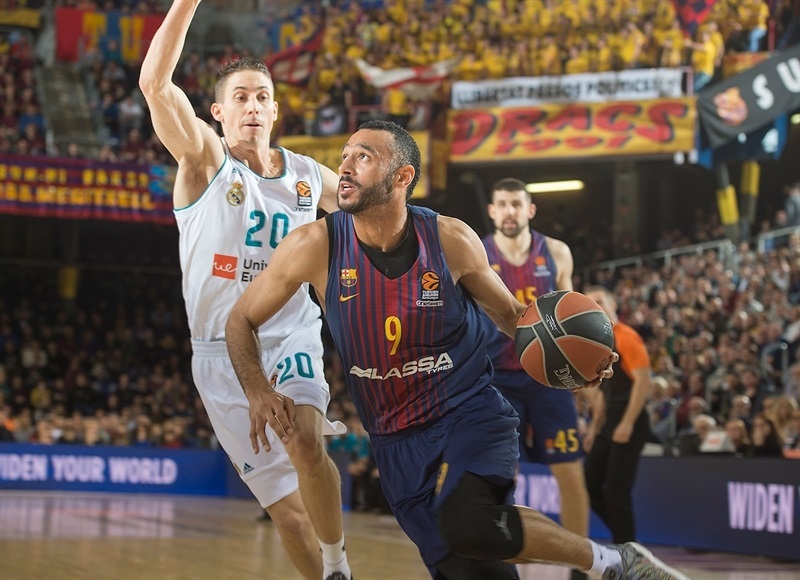 Real Madrid got back on the winning track by downing archrivals FC Barcelona Lassa in blowout fashion, 74-101, on the road at Palau Blaugrana on Friday. 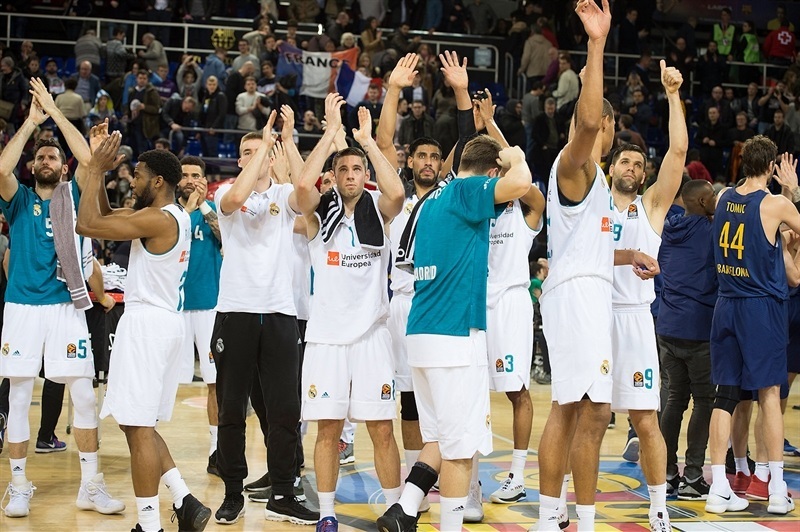 Madrid took its record to 14-9, the same as Khimki Moscow Region, Panathinaikos Superfoods Athens and Zalgiris Kaunas, all of them competing for fourth place at the moment. Barcelona dropped to 7-16 with its fourth consecutive loss. 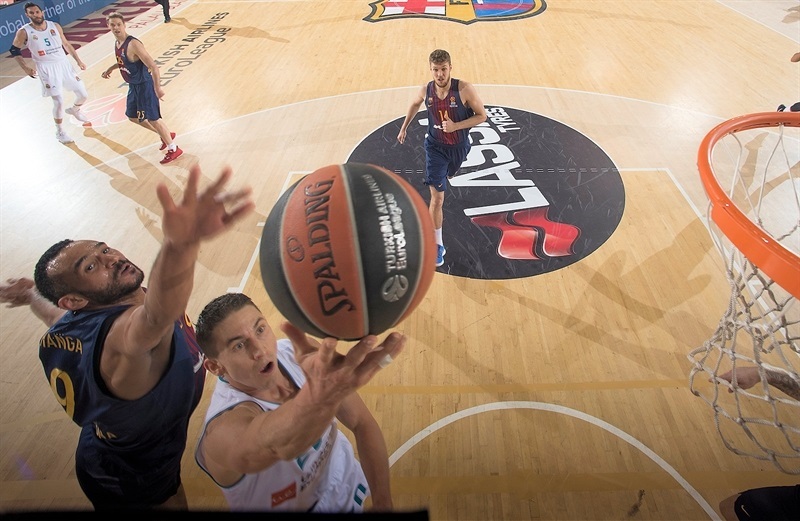 Jaycee Carroll led six Madrid scorers in double digits with 18 points. 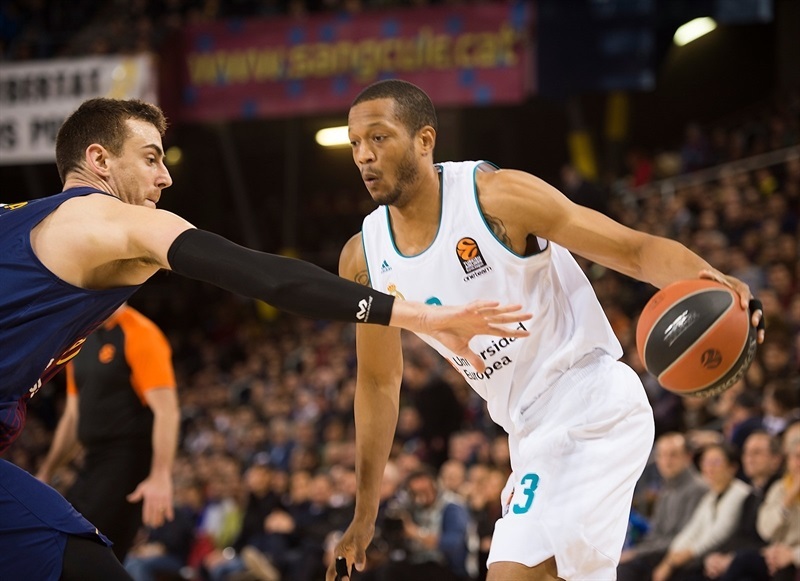 Anthony Randolph had 16, Felipe Reyes added 13, Facu Campazzo got 11 while Gustavo Ayon and Fabien Causeur each contributed 10 for Madrid. 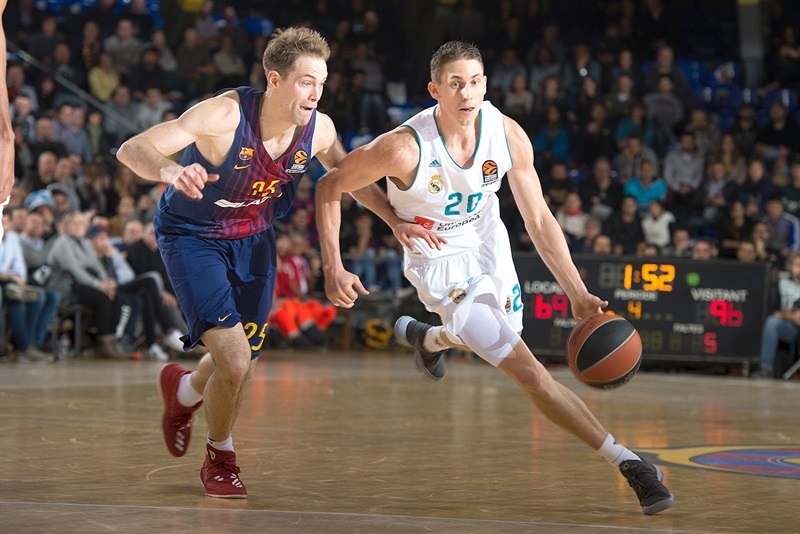 Thomas Heurtel led Barcelona with 11 points. 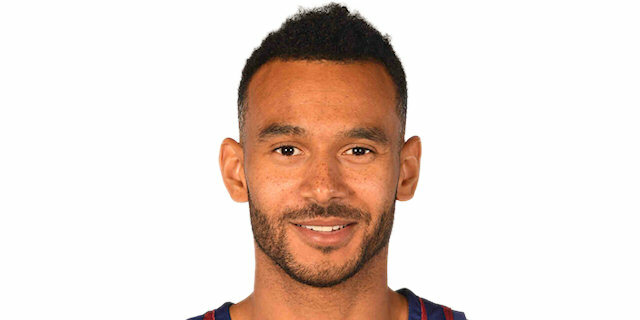 Adam Hanga and Petteri Koponen each added 10 for the hosts. Carroll, Randolph and Walter Tavares combined for 20 quick points and a three-point play by Ayon gave his team a 10-30 margin late in the first quarter. 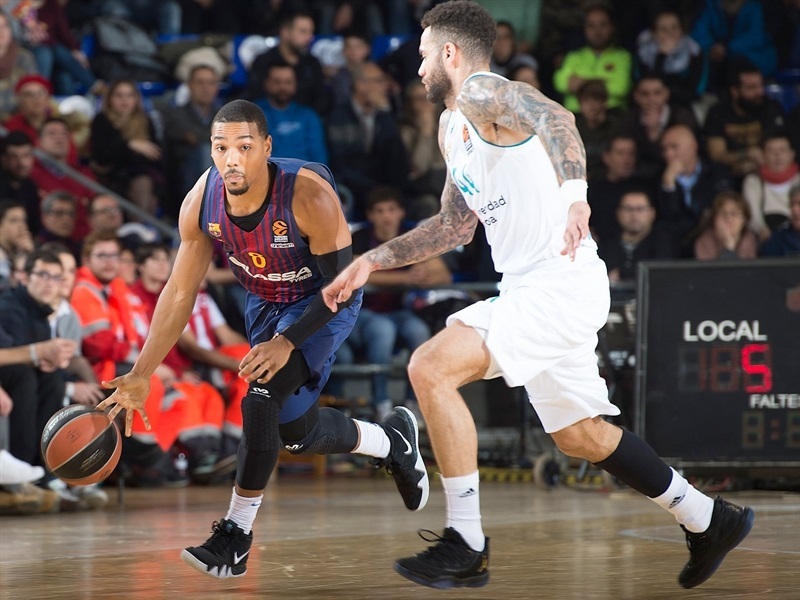 Ante Tomic and Adrien Moerman tried to change things for Barcelona but Reyes, Randolph and Ayon kept Madrid way ahead, 35-52, at halftime. Back-to-back three-pointers by Carroll made it a 25-point game, 39-64, right after the break. Madrid extended its margin to 57-83 after 30 minutes and never looked back. 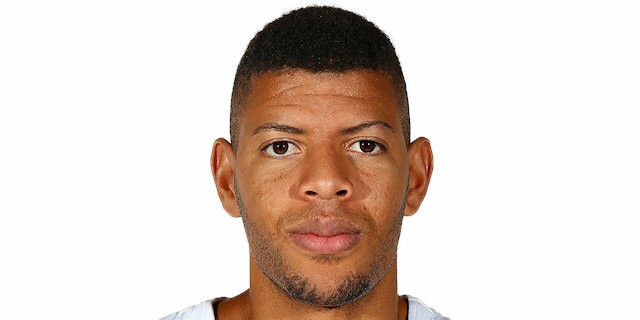 A put-back layup by Jeffery Taylor and a close jumper by Randolph ignited a 0-9 opening run which Tavares capped with an inside basket. 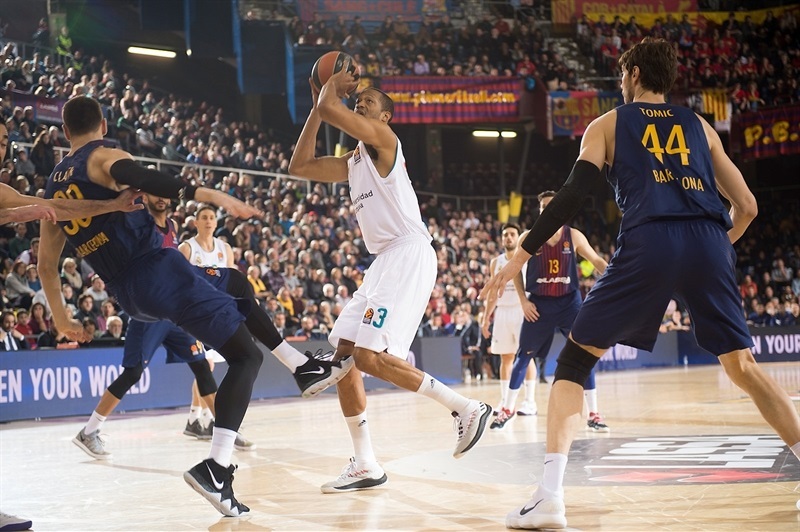 Heurtel stepped up for Barcelona with back-to-back jumpers but Campazzo struck from downtown and an unstoppable Randolph made it a double-digit game, 5-15. Carroll buried his second triple and followed Tavares's dunk with a floater to boost his team's lead to 7-23. Moerman buried a three-pointer but Carroll and Rudy Fernandez fueled a 0-7 run that Ayon capped with a layup-plus-free throw to make it a 20-point game, 10-30. A triple by Sasha Vezenkov brought Barcelona within 13-30 after 10 minutes. Moerman took over with a jump hook, a jumper and a layup but Reyes kept Madrid way ahead, 19-36. 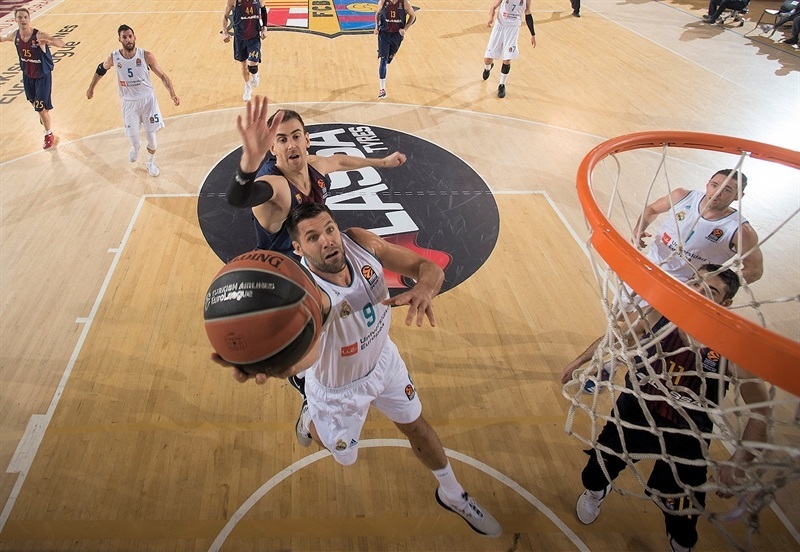 Heurtel downed a three-pointer before Reyes scored again and Ayon added a free throw for a 24-40 Madrid margin. 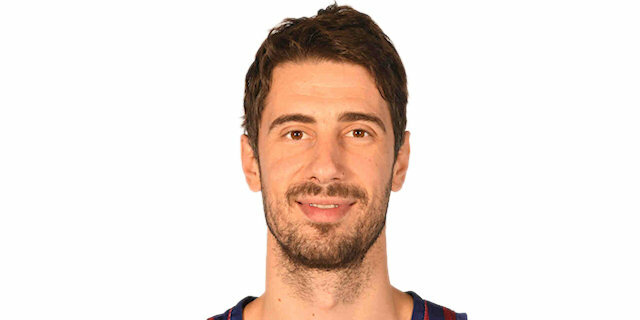 Tomic followed a floater with a layup and a three-point play by Juan Carlos Navarro gave Barcelona hope at 33-43. 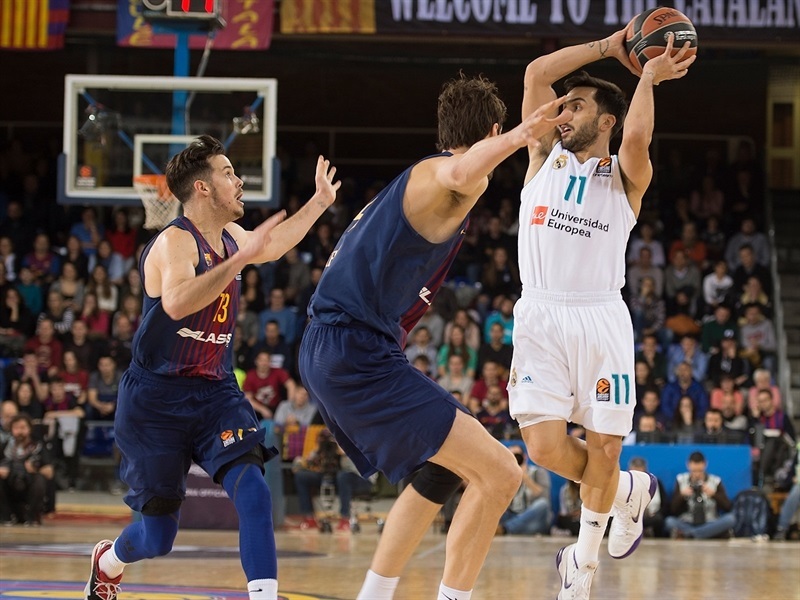 Campazzo downed a three-pointer, however, and a layup by Taylor made Barcelona call timeout at 33-48. Ayon scored down low and Campazzo fed Randolph for a dunk to boost their team's lead to 35-52 at halftime. 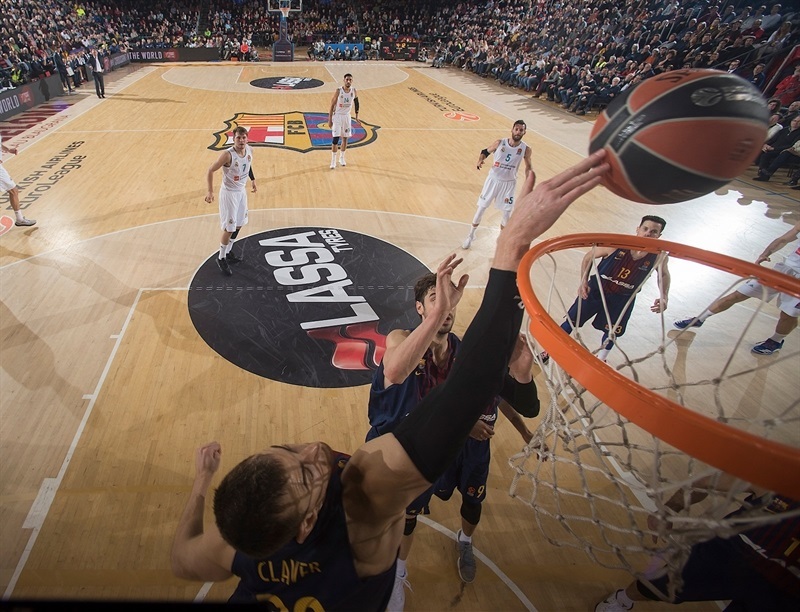 A layup-plus-free throw by Randolph and back-to-back triples by Campazzo and Carroll made Barcelona stop the game, 39-61, soon after the break. Navarro followed a three-pointer with his trademark 'bomba', and Koponen also hit from beyond the arc at 47-66. 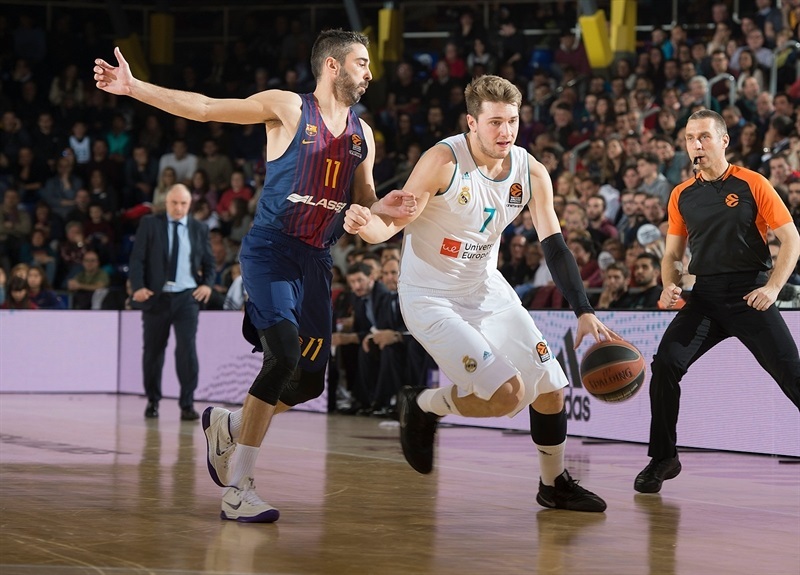 Ayon and Taylor dunked, Luka Doncic found his first points and an alley-oop slam by Ayon restored a 53-78 Madrid margin. A jumper by Reyes and a triple by Causeur made it a 26-point game, 57-83, after 30 minutes. Nothing really changed in the fourth quarter, as Madrid started to run down the game clock by using longer possessions. 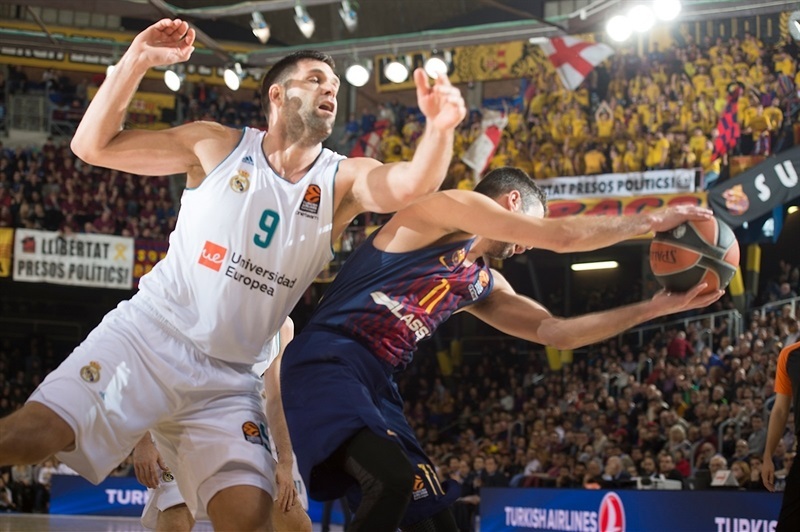 By the time Causeur hit another three-pointer, Madrid led 62-92 and was putting the wraps on a hugely important road win against its archrival. Next week, Barcelona visits Zalgiris Kaunas on Thursday and Madrid hosts reigning champion Fenerbahce Dogus Istanbul on Friday. 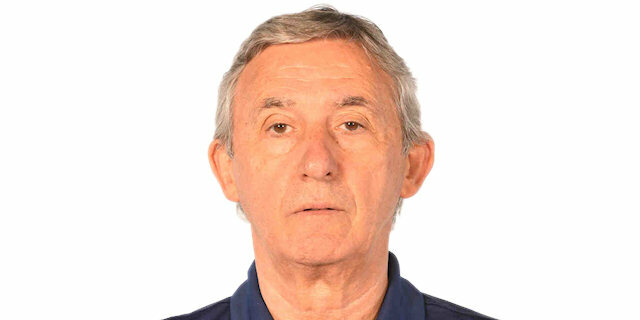 "Of course, if you play against Madrid, no matter if if is in the EuroLeague or the Liga Endesa, and you lose the way you lose, everybody is disappointed. All the people – coach, players, etc, etc. But we get nothing from being disappointed. We cannot cry and had a different game today. In the Copa del Rey, we had three games in which nobody wanted to lose. For me, it was important to see how the team reacted in some moments. We didn't play like we can. We allowed Madrid to play very comfortable today and this is something you cannot allow against this opponent, with a full arena. We had a game plan and it was critical not to allow any easy point. It is not the first time this season that the team doesn't make fouls. Fouls are part of the game. If you cannot reach, make the foul. Who can make the foul? Only a player who plays defense. If you are not ready to play defense, you don't make fouls. One more time, we allowed Madrid to play comfortable, allowing them to score 30 points in the opening 10 minutes, which is a lot. We have seven more games in the EuroLeague and of course, we must show pride and play to our limit. Use these games to learn and improve, be more physical in transition defense and defensive rebounds, like Madrid played tonight – excellent. We have a game in Kaunas and will prepare it as every other game. If we win, our situation will improve and it is a good opportunity for us." "First of all, congratulations to my team and my players for the victory. I think we showed a lot of pride from the first minute. We knew that when the calendar came up in July, the teams that play in Europe look at our opponents after the Copa del Rey. We knew that we had to play against Barcelona, a big game, El Clasico and for us, it is very important this win and the determination we showed from the first minute of this game. I am happy for the victory, knowing that it gets us closer to our objetive, which is making it to the EuroLeague playoffs. It is difficult, but we are one step closer. Being honest, I didn't think about this game comparing it to the one last Sunday. It was very different, different competitions. We played a final on Sunday and this was a regular season game. As all games, you learn and improve as a team, but for me, both games were different. Still, I am happy to be able to win by almost 30 points on a court like this. It is true that the end of the game on Sunday showed us the way that we must follow to beat Barcelona. We did things differently on defense and Gustavo Ayon is improving after being injured for so much time. 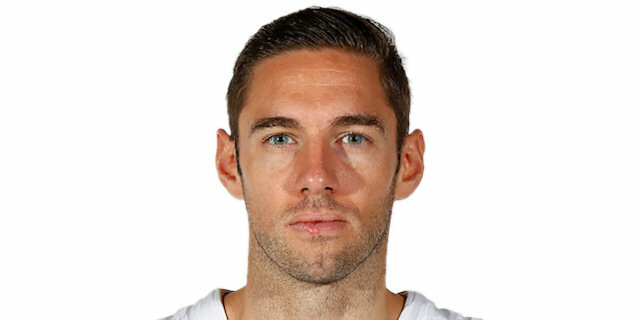 Felipe Reyes was able to play at the four position, his natural spot. Like I said, those were different games but we learned from Sunday's game, which is mandatory for every team – to keep learning." "I don't know what happened. We didn't have a good start to the game. We didn't play strong and were not focused. It happens when you don't foul when you should and you don't do the things you talk about before the game. The key to the game was the opening minutes. We trailed 4-21 or something like that and we tried to change things but it was very difficult after such a bad start. We played a very bad game. We have to look forward. It is painful, but we have to look forward and try to get more wins in the EuroLeague before the end of the season." "We just talked about what happened in the first quarter. We didn't make fouls which we should have used. We were not smart in the first quarter and they took a big lead which was very difficult to come back from. If we want to be a more serious team, we have to be more serious on the court. We beat this team in the Copa del Rey final, but Madrid came here looking for sports revenge, ready to beat us. We know that making it to the playoffs is almost impossible but our image is important. We want to win as many games as possible. We know it is very dificult but will go for it, playing the kind of basketball we want to play." "Everybody was focused from the beginning of the game. We used the anger of last weekend's Copa del Rey loss to motivate ourselves and play a good game here. It is a totally different competition and we were very focused from the beginning of the game. The guys who started the game did things how they should be, fighting for every defensive rebound, executing good plays. This is why we started well and kept rolling the whole game." "We didn't have a good start in the Copa del Rey final in Gran Canaria, and this time, in this game, we started with a good rhythm. In the end, you saw what you saw. We played with high intensity from the beginning until the end, and when we play like that, nobody can stop us. Every time we have a good start, we suually finish strong, too. When we have a bad start, we have to rally and see if we can win the game down the stretch."